Writing a profile for your business is an extremely important endeavor, and it’s not a task that you should enter into lightly. This applies even more so when it comes to composing an IT company profile. As computer-based technologies take over an increasingly large proportion of our everyday lives, both business and personal, it’s vital that information technology companies make the right impression. We’re gonna look at some company’s profiles and bio examples and figure out how they influenced the success of the business. There are several reasons why you should write a company profile regardless of the specific niche in which your business operates. First and foremost, it’s great for marketing purposes as you’ll draw in lots of potential clients and prospective investors. You can go a step further with it and involve the media. You’ll end up advertising your company to your local community and you could easily go nationwide with the right approach. It is an easy way to boost your company’s growth. By positioning yourself as an expert in the field, clients will find your business trustworthy and will be more willing to hire your services. By creating a company profile, you can ensure your site is ranked higher by online search engines. This will make it easier for potential customers to find your website. An IT company profile can help future clients learn more about your services. A well-written company profile can help you advertise your business. You can use it for PR purposes, as well as including it in an ad campaign. Besides helping you market your company, it can also assist you to restate your knowledge about the field. If you’re looking to attract potential investors, a company profile can help you reach them quickly. More than in any field, users looking at a company profile for IT company tend not to spend very much time reading through the details. 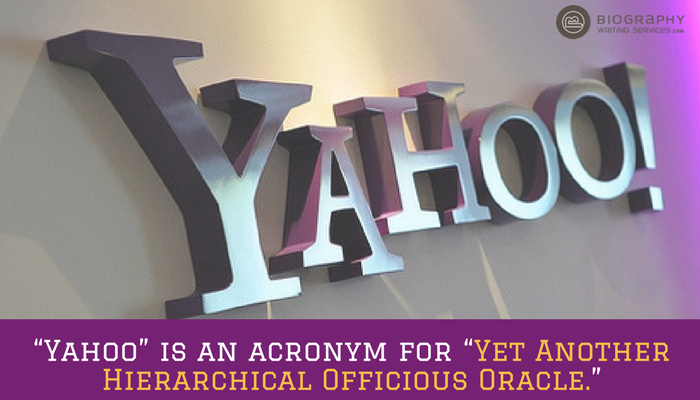 As such, brevity is a key consideration when writing a top company profile for IT company niches. Just make sure you don’t mistake brevity for a lack of detail, on the contrary, detail is a vital component of any profile for IT company. When clients are undertaking company research to work out which IT business fits their requirements, they are essentially scanning your profile for keywords and phrases that trigger them into action. When it comes to displaying your company info lookup statistics are of utmost importance. If you can find out how often potential clients search for your company using search engines and which keywords they use, you’ll then have information you can use to improve every aspect of your business. If you’re in the IT business, your success depends on whether you can provide a service that is indispensable and not to be found elsewhere. As plenty of people are computer literate only to a certain degree, at which point they start to drown in the increasing complexity of the tasks at hand. It’s your job to explain clearly how you can help in your particular niche. As you will have deduced by now, writing the best possible profile for IT company involves plenty of creativity. Consider the people in your team and what makes them tick. By including some of the passion and interest they have in working in this sphere, you’ll encourage clients to contact you with inquiries. After all, enthusiasm is contagious. Attracting clients through the clever use of your profile is more than just dazzling them with your character and personality. You need to be able to put your money where your mouth is, so to speak, and show them how your involvement will increase their bottom line. The use of facts and figures interspersed with real-life success stories is the best approach. Creating a story to attach to your company’s reason for existence is a great way to attract new clients. Everyone enjoys a good narrative and this applies to the business world too. Examine how the Johnson real estate company weaves their narrative throughout as much of their profile as is reasonable. Numbers are important as they tell a story far beyond that of mere words. The right figures can paint a picture of a reliable, successful and useful company. 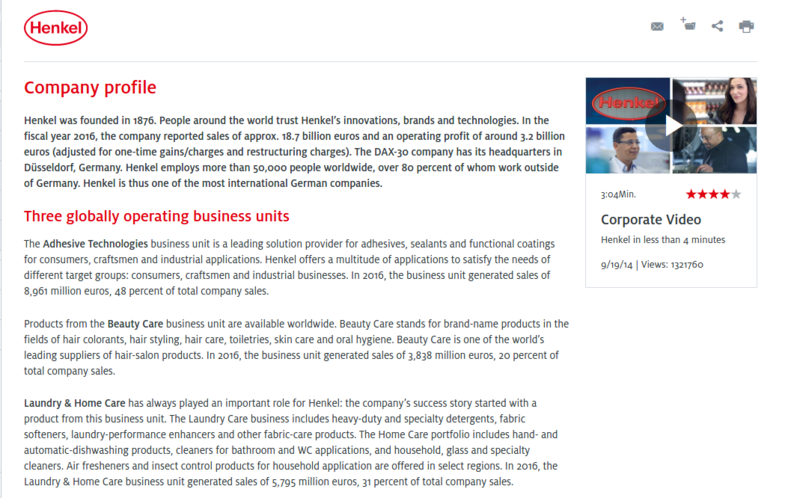 See how Henkel demonstrates its capability as well as its unique company culture. Emulating their approach and adapting it to your individual circumstances would be a great start. We have already extolled the importance of being concise and getting straight to the point. 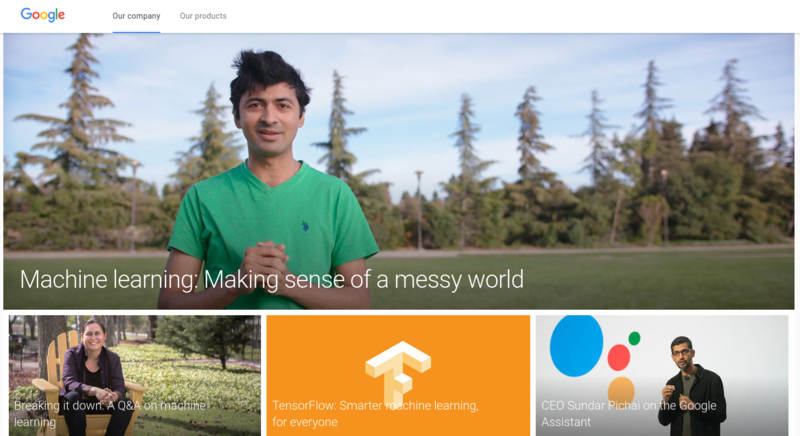 Google does this a lot better than many companies both inside and outside of the advertising field. They stick to a single paragraph for each topic they want to address and this is a wise approach that you could easily follow. Photos and visual imagery have a significant influence on how a company is perceived. Just look at some of the websites out there and you can surely admit that the ones that look as if they’re stuck in the nineties are the first ones you cross off your list. 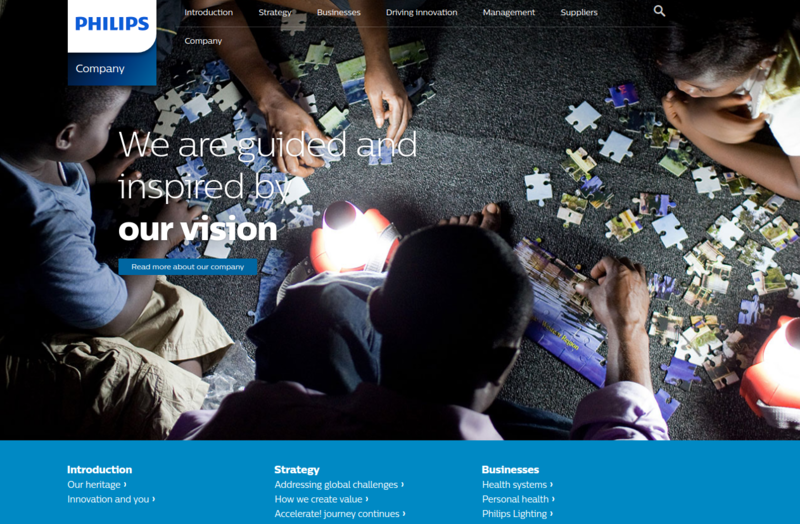 Adopting a dynamic, visual approach like Philips will make you an immediate talking point among potential clients. Giving a human face to your products and services is of vital importance, particularly in fields like IT. Mentioning what’s so different and unique about your team is a good way to stand out from the vast number of faceless IT companies out there. 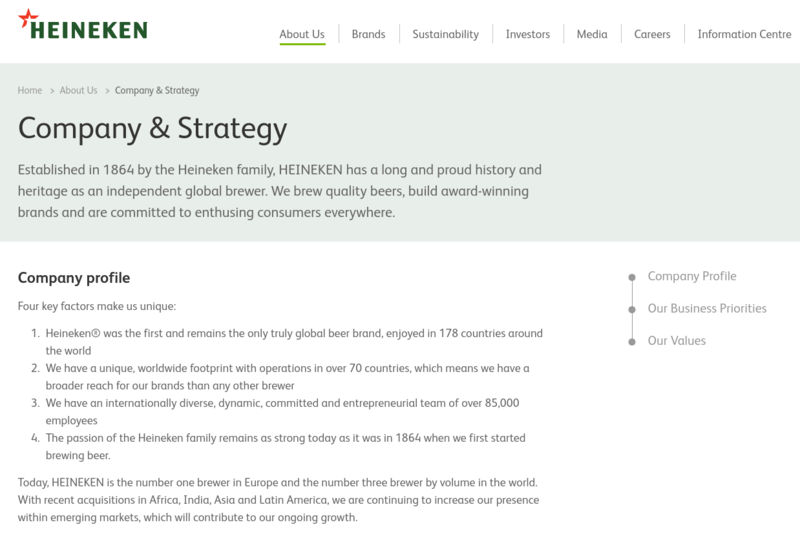 Many of the skills needed to write such a profile are transferable and you’ll find a varied range of companies taking such an approach, including such names as Heineken beer. Learning by example is one of the quickest paths to success and this is true in the case of writing an IT company profile as well. Consider the various examples above and see why they excel at advertising their company and portraying it in the best and most accurate light. If you have read our IT company profile sample, you would have seen what our professional and expert writers are capable of. We only work with experienced writers specialized in information and technology. Thus, they will be able to capture the essence of your company and translate it into words to attract potential customers and investors. We take pride in what we do, so we will always provide direct contact with our writers. This way, you will be able to discuss your text directly with them, ensuring you are satisfied with the final result. Writing. 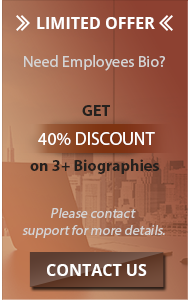 Within our writing service, our team can help you write any type of profile and biography you may need. Editing. We work with professional editors to ensure your text is flawless. Make your IT company profile shine when you learn from the best in the business world. Make all the right choices and have new clients flock to you in droves.